White Bird of Paradise sprouts? 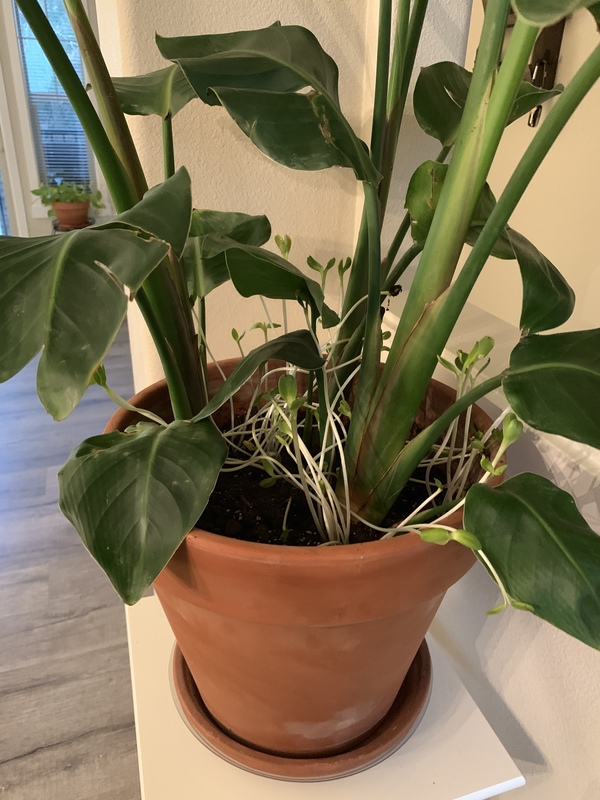 I recently bought a White Birds of Paradise tree and within a week of potting and watering, a ton of little white sprouts erupted from the soil. Are these seedlings? I can’t seem to find a picture anywhere of new growth to confirm. I just want to make sure I’m taking proper care of the new babies. Megan Here are the sprouts. Thoughts? Pei [289893,Megan] Do you have a photo? Paris Lalicata I personally don't recognize the sprouts, but once they develop more it'll be easier to tell! Megan [286271,Paris Lalicata] oh my!! Thank you so much. I’m glad I asked; I definitely thought it was different. I appreciate your response! !